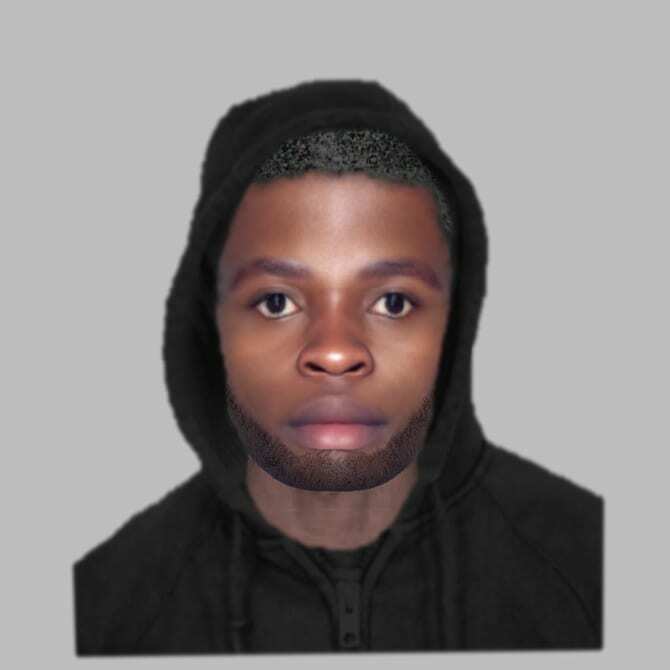 Police have released an E-fit image of man who sexually assaulted a woman in Milton Keynes. The E-fit is being released as part of a re-appeal for witnesses to the incident which took place at a time between 6.10pm and 6.30pm on Tuesday 12 February this year. The victim, a woman in her twenties, was running along a footpath along H4 Dansteed Way, between the turnings for Crownhill Crematorium and Hendrix Drive. The offender then cycled past her and made eye contact with her. Moments later the victim was slapped on the bottom with a considerable amount of force. She was then pushed but stayed on her feet. The offender then cycled away in the direction of V3 and Grange Farm. The offender is described as a black man, aged approximately 16 to 18-years-old, around 5ft 9ins tall and average build, with short black hair and a dark beard. He was dressed in a dark hooded top with the hood up and matching tracksuit bottoms. He was riding a silver mountain bicycle. Investigating Officer, PC Oliver Harrison said, “We are releasing an E-fit image of the offender in this incident which took place in February. “It is part of a re-appeal for any witnesses to this incident to come forward and help us with our enquiries. This incident happened in a public area at a time where it could have been witnessed by a number of people. Reports can be made online on the Thames Valley Police website or witnesses can call Crimestoppers anonymously on 0800 555 111.